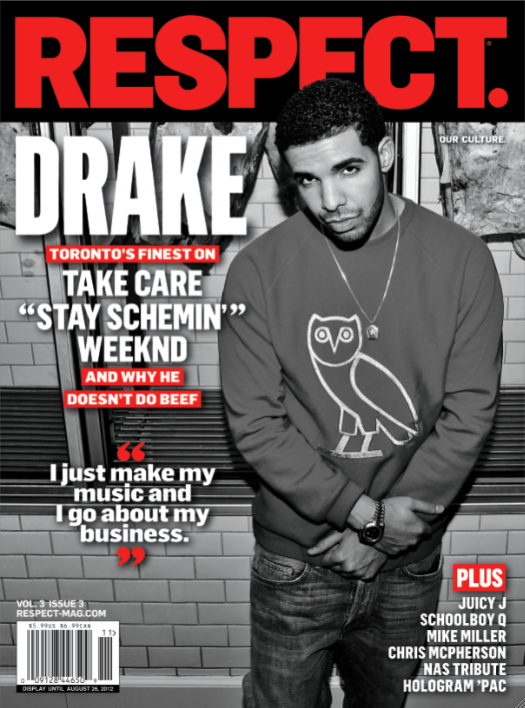 Drake Covers RESPECT. Vol. 3, Issue 3 - On Stands 5/29 | RESPECT. Yessir! The Club Paradise tour kicks off tonight in Concord, CA. Issue on stands May 29th, featuring Juicy J, Schoolboy Q, Mike Miller, Chris McPherson, and more. So, is there a feature story on Mike Miller from the Heat? Or is there a rapper named Mike Miller that I don’t know about? Or is it a typo for Mac? Where can you buy the magazine ?